In the central part shows a stylized top of corn stalk with two ears. On the left leaf of the left piston are stamped initials of author's visual design (KK). 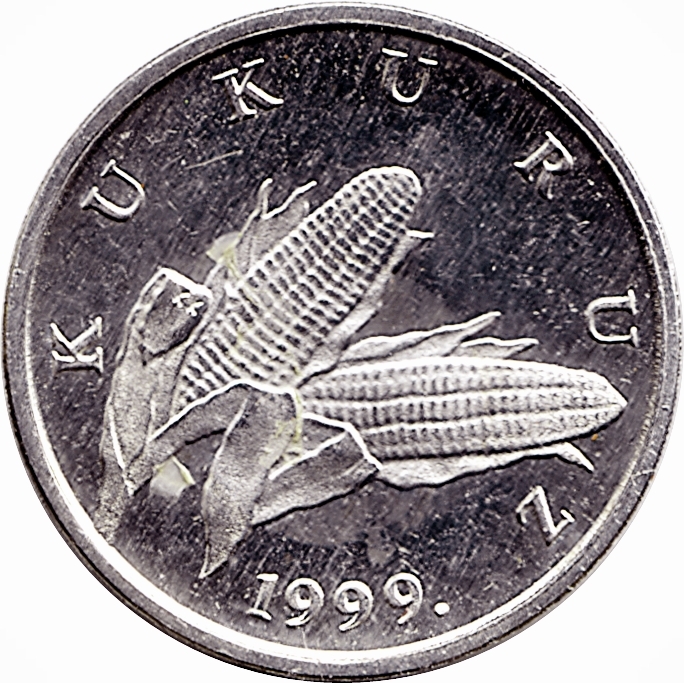 Around the display, along with a circular edge, bears an inscription KUKURUZ (corn) on the Croatian. 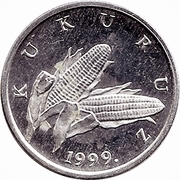 Along the bottom edge, in the central part, is marked the year of minting (1999). In the central part is shown the stylized branch of linden in inflorescence and on the leaves is printed a numerical value (1). 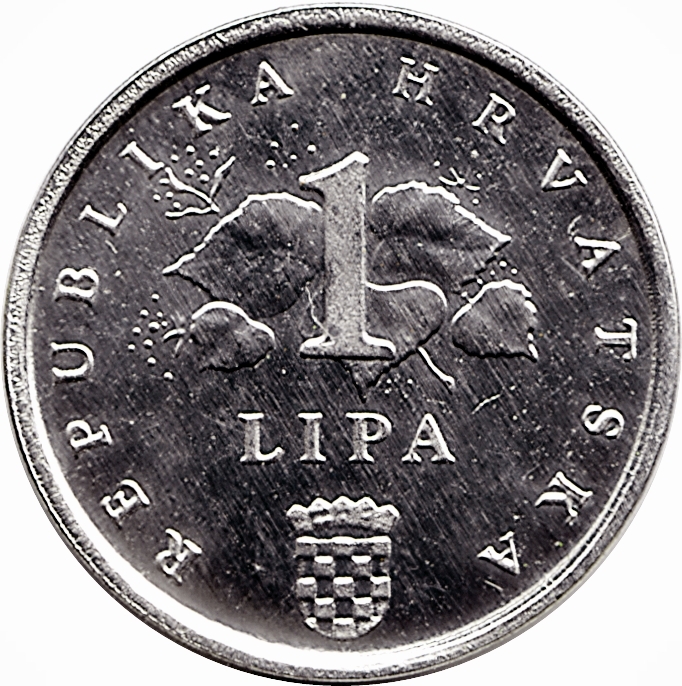 Below the numerical value is inscription LIPA (linden) on Croatian. Along the bottom edge, in the central part, is the coat of arms of the Republic of Croatia. On the left of the coat of arms starts the inscription REPUBLIKA HRVATSKA (The Republic of Croatia) and it goes around the edge which bounded display of branch of the linden and ends on the right side of the coat of arms.